For fans of old Xbox 360 games, here’s a bit of very good news: Microsoft is finally making it possible to play Xbox 360 titles on the Xbox One. This was demonstrated onstage at E3 with Mass Effect. The setup seems to be similar to the way you played original Xbox games on the 360. You put the disc in (or download the game), and your Xbox One will play it. You will also get One-specific features too, like taking screenshots, game streaming, and game DVR. If you’re part of the Xbox Preview program, you’ll get a chance to start testing this later today with games such as Perfect Dark Zero, Gears of War, Super Meat Boy, Halo Reach, Halo 3, Shadowrun, and Borderlands. However, it looks like developers will only need to approve a game for backwards compatibility for this to work, so we’ll probably see a lot more Xbox 360 titles headed to the Xbox One very soon. 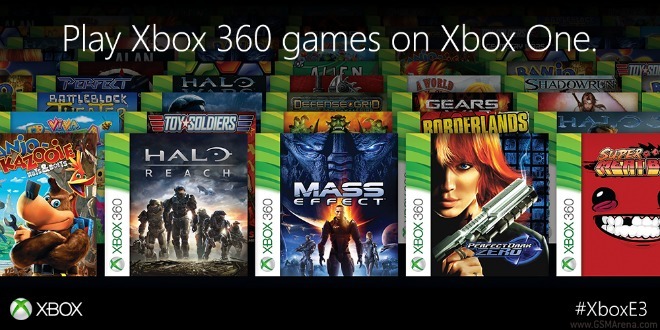 In fact, Microsoft plans for more than 100 Xbox 360 games to eventually make it to its newer console. You should even be able to go multiplayer against people who have the older device. And obviously, you won’t have to pay again to play games you already own.